The Admission process at Kinderpillar begins with counseling and completes on the receipt of preschool admission fees and making the entry into the School Register. Please refer to our step-by-step guide to understand our preschool admission procedure. Get answers to all your questions related to the Kinderpillar Admission procedure and requirements. Visit the Contact Us page and supply us with the details requested and we will get back to you. 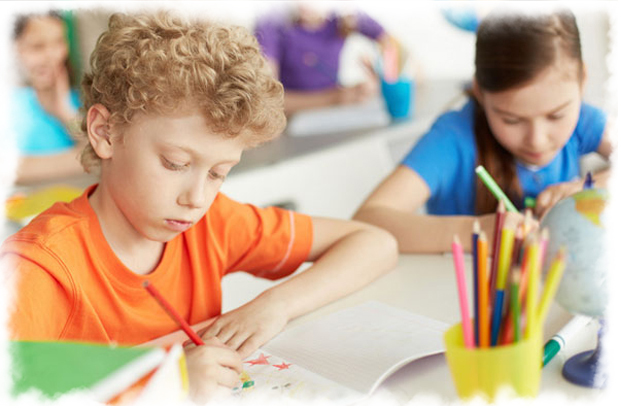 There are 2 ways in which you can initiate the preschool admission procedure in Kinderpillar. You can either access the online Enquiry page or you can come for a Center visit. In both cases, all the relevant details of the child and the parents are recorded. The next step is a Center walkthrough and discussions with the Curriculum experts. These discussions will cover topics pertaining to curriculum and methodology, the Kinderpillar standards and health, hygiene and security. Parents are free to raise any other issues that they wish to discuss. After the parents are satisfied with the infrastructure, the curriculum and methodology, the teaching and day care quality and the overall Kinderpillar standards, they can collect the admission form along the admission kit. Next, we will call parents for an interaction session and an interview, to ascertain and align concerns and expectations. After this, the admission formalities are completed and the child gets an admission offer. For full day care and schooling, a settlement period of one week is part of the preschool admission process. Parents are expected to spend time during the first week of the settlement process when the child adapts to the new schooling environment. Admission is on first come first basis since we limit our batch size per class room to 20 students. All admission forms have to be completed before the child starts attending the Preschool. After the confirmation of admission into the Preschool, a parent has to submit 6 passport sized photographs along with a photocopy of the birth certificate. The photographs will be later used for the preparation of an I-card and other school activities. It is mandatory for the parent to fill up all the fields of the admission form including the immunization record (to be attached a copy) of the child as it forms a very important part of the Preschool records. The age of a child seeking admission in the playgroup must not be less than 1 year 8 months on the date of joining. The minimum age criterion though in few territories is 1 year 10 months as guided by the local educational requirement. No Preschool can take in children below 1 year 8 months as it is against our philosophy in proclaiming that our curriculum is age appropriate.